It looked like ​United's hopes of a dramatic win had been dashed as Barcelona were awarded a penalty after ten minutes following ​Fred's challenge on​ Ivan Rakitic, but the Video Assistant Referee came to save the day, and the referee ultimately overruled the decision. 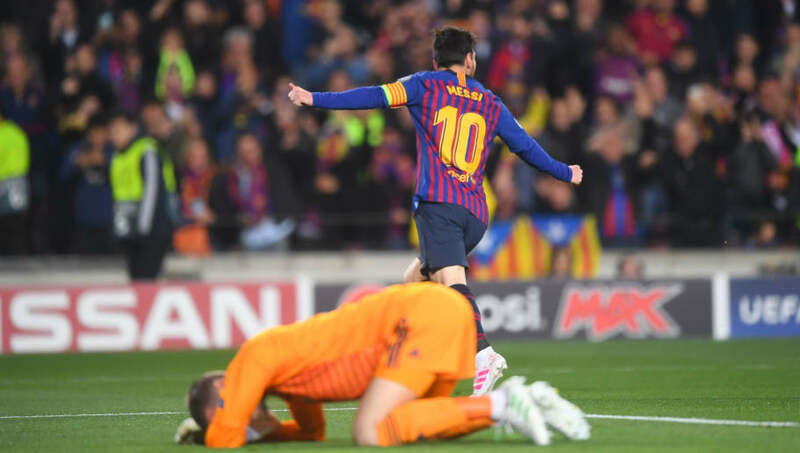 However, just minutes later, ​Lionel Messi got his revenge. The Argentine shimmied away from United's defenders before sending a low effort crashing past ​David de Gea and into the back of the United goal. ​​If the first goal was thanks to Messi's skill, the second was the exact opposite. A tame effort from distance somehow found a way under De Gea, who certainly should have been able to keep it out. Mission Impossible just became a whole lot harder. ​​There was nothing De Gea could have done about Barcelona's third, as Philippe Coutinho unleashed a sublime curling effort from range which flew into the back of the net. BARCELONA IN SEMI FINAL AGAIN!